Valentines day table. Plate with two forks and hearts. Valentine’s day dinner at Victuals. 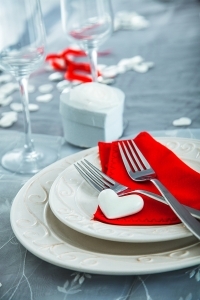 A special evening menu to celebrate a great day in the year for loving couples!